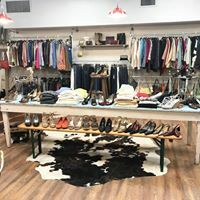 That creamy concoction is the namesake of her newest venture, an upscale consignment and home goods boutique in her hometown of Bristol, Va. The store began in April 2017 as a 1,000-square-feet space packed with furniture, clothing and accessories. After closing in August 2017 for a 5,000 square-foot addition, House Dressing re-opened in November. 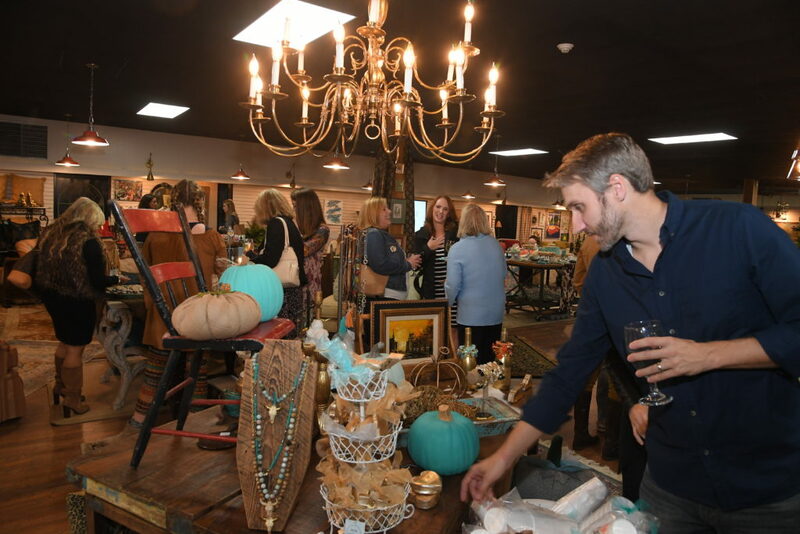 A crowd of 80 people gathered at the re-opening celebration to shop and hear bloggers John and Sherry Petersik of “Young House Love” give a home-improvement lecture. “I’ve always had this creative part about me,” says McGlothlin, but she hasn’t always prioritized it. After her undergraduate years at William & Mary, McGlothlin returned to Southwestern Virginia to work as a law clerk while she considered attending law school. In the midst of working for an attorney, she postponed law school in favor of earning an MBA at the University of Tennessee. Afterward, William & Mary’s magnetic hold drew her back to the campus for law school. Upon completing her J.D., McGlothlin ventured off to the state capital to take a position at McGuireWoods. Working at an international firm appealed for a time, but after a few years, an entrepreneurial urge arose. She left the aqueous glass-walled skyscraper on Richmond’s Canal Street to open a branch of the Bassett Furniture franchise. McGlothlin built the business from its foundation: she acquired a location, constructed a staff and travelled to furniture markets across the country. After a few years, she sold the furniture franchise to return to the legal profession. This time, she put her W&M law degree to use for her family’s business, The United Company, of which her father, James McGlothlin ’62, B.C.L. ’64, LL. D. ’00, is chairman and CEO. She started in The United Company’s legal department and eventually earned the position as president of The United Company Charitable Foundation. There, she oversaw the company’s efforts to give back to the community through contributing to local charities and operating a soup kitchen. The foundation remains one of her greatest passions, and she now serves on its board of directors. In a relatively short time after earning her undergraduate degree, McGlothlin had enjoyed success as both an attorney and a businesswoman. Never one to rest on her laurels, she decided to try her hand at a completely different venture: motherhood. While still serving as president of The United Company Charitable Foundation, she became a mother of four. On the weekends, she’d traverse estate sales and flea markets to find pieces to incorporate into her crafts. Gathering and creating reminded McGlothlin of childhood days spent with her maternal grandmother, Martha Jane. The two Marthas hosted yard sales, and McGlothlin enjoyed watching her grandmother paint and craft as she breathed vitality into discarded objects. McGlothlin remembers that her grandmother also had a flair for style that extended from her wardrobe to each room in her home. McGlothlin still carries a timeless boho suede bag that her grandmother acquired years ago, and dishes from her grandmother’s eclectic collection dot her table at dinner parties. The charm of these pieces lay in the fun of finding them, and they sparked her imagination for a store. “I thought that I might see if people wanted to clean out their closets for a little store open ’til three in the afternoon so that I could get my kiddos from school,” McGlothlin says. The vision of the store has evolved since McGlothlin first imagined it. In addition to consignment items, House Dressing carries pieces from local artisans and specializes in animal rugs. They’re working on an online format, and McGlothlin might consider opening another location in the future. Before she considers a second location, she’s fine-tuning the current venture. Each Wednesday, House Dressing adds to its over 250 consignors, and McGlothlin pours through the newest inventory, from chic, brightest-white chairs out of Palm Beach to vintage suede ponchos. McGlothlin doesn’t shirk from the unexpected, and she enjoys working with customers to help them incorporate conversation pieces into both their wardrobes and their homes. “A lot of people get caught up in the question of ‘does this match?’ I think that if it works for you and you love it, then it’s going to look good. I like to mix wooden pieces with a little bit of bling. It works really well,” McGlothlin explains. Her aesthetic resembles her journey to entrepreneurship, acquiring skills from different fields along the way. She seems content with her destination.